‘There is something about the outside of a horse that is good for the inside of a man.’ No one knows who first spoke those words, but millions of us know it is true. When I press my face against my horse’s velvety nose and feel his warm breath on my face, I know it is true. When we are galloping through the woods with wind whipping my face or my hands are patting his warm neck after, or I’m watching him eat the first spring clovers in the field, I know it is true. My horse is my partner in sport, my confidant, my therapy, my heart. Much of the history of mankind has been shaped by horses. Their labor has given us civilizations; they have been warriors, workers, and companions, and our deep partnerships have allowed us to accomplish together more than we could alone. Horses also have an amazing ability to draw people out of themselves, center them, and guide them towards healing. The therapeutic benefits horses provide have been known for centuries, and addiction and mental health programs are increasingly incorporating equine therapy as an integral part of the larger treatment picture. Through meaningful interactions with horses, you can develop newfound skills, process emotions, and discover a new sense of self-worth that will buoy you as you navigate your recovery. The first thing many people want to do when they see a horse is touch it. The instinct to form a connection with these creatures is an incredibly powerful thing, and equine therapy taps into that desire, creating the opportunity for profound personal growth. Because horses are sensitive, reactive animals, you quickly see how you affect another living being as your emotions are reflected back to you. If you are nervous, the horse can sense it and will respond in kind. On the other hand, if you approach a horse with positive energy and a kind manner, they will accept you and mirror those qualities. In order to have the connection you want, you need to be able to identify any negative emotions you may be experiencing, reflect on your body language and voice modulation, and consider how you are in the present moment. Even people in deep distress often find the inner resources to be calm and compassionate in the presence of these animals. By learning to regulate your emotions, you can experience an immediate, reciprocal interaction with another being. Seeing yourself contributing to these exchanges and observing the positive effects you are able to have on the world around you can greatly enhance your self-acceptance. A horse outweighs you by 1000 pounds, and you will never win in a battle of strength. In order to have a productive relationship, you need to assert yourself in a respectful way and provide the leadership a horse needs in order to feel safe while establishing the boundaries necessary for your own protection. Through the horsemanship skills taught in equine therapy, you can learn how to read what a horse is telling you about what he needs from you, and respond to it appropriately. The horse is counting on you to create a safe environment where you behave in a way that is comforting to him; developing empathetic leadership is a great skill that can serve you well as you reclaim your life and re-establish relationships free from addiction. Horses are large, powerful animals that can be intimidating for some people. Even people who very much want to interact with them can be held back by their fears. By being introduced to horses in a structured therapeutic environment, you overcome your fears as you learn about how horses behave, what to expect, and how you can communicate with them in a positive and safe way. 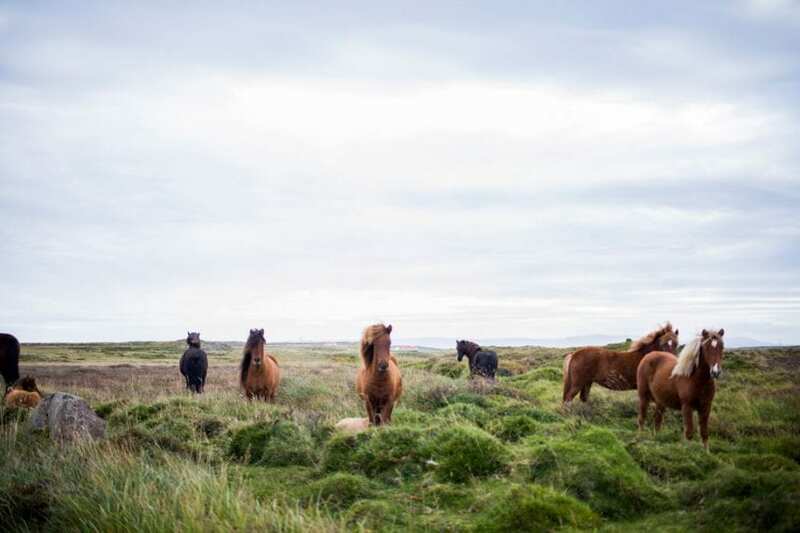 Many people who are initially fearful end up finding great joy in equine-based therapy, and form important connections with the horses. The process of conquering your fears can serve as a model for how you approach anxiety in the rest of your life, and can significantly bolster your confidence. When we interact with horses, particularly when we touch them, our brains release oxytocin, also known as the love hormone. Oxytocin creates a feeling of bonding, belonging, sociability, and relaxation; we are wired to find joy and expanded inner peace through spending time with these animals. Horses don’t care about your past or what you are doing tomorrow. They live in the present moment, and the flood of oxytocin encourages you to find pleasure in the here and now, free from judgment about your past or anxiety about the future. By combining equine therapy with a comprehensive addiction treatment program, many people see themselves making significant progress as they learn and practice the skills they need to establish sober, stable lives. Through the power of the human-equine bond, you can add a new dimension to your therapeutic experience and see the benefits of this very special relationship. At Alta Mira, we offer equine therapy as part of our commitment to innovative addiction recovery, and we have seen our clients flourish as they gain insight, enhanced coping mechanisms, and self-awareness through healing encounters with horses. Contact us for more information about equine therapy or any of the treatment modalities available at Alta Mira.